When we say DIY Marquees we really mean it! Our marquees are designed with function in mind so that they are really able to be “do it yourself” marquees. Choosing the type of marquee that you need for your event is the first step in planning the event. Depending on the kind of event you are hosting, you will need to ensure that your marquee has all of the relevant and useful aspects which will meet the needs of your perfect event. 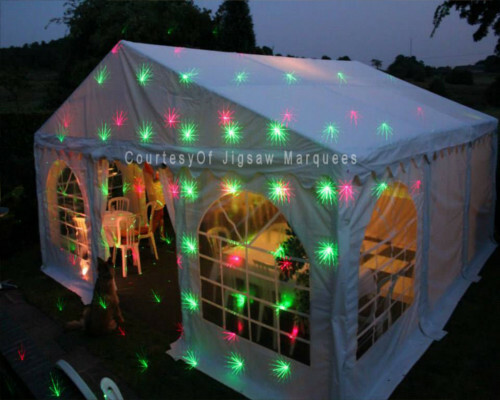 Beginning the process of choosing the perfect marquee for what you need, you may find that you need some advice to begin with and we are ready to help you with all the aspects of the type of marquee that you need, especially if you are someone who has never used a marquee before. Our marquee ranges have been designed to be strong, durable and easy to set up. So even if you haven’t thought about all the aspects, we have! We will guide you with making your decision based on all the facts! Once you have made your decision and are happy that you have the perfect marquee, you will want to know how to go about setting the marquee up on the day. Naturally if you are doing this for the first time then things will be a little confusing but we are here to show that this is nothing to worry about. In fact, our commercial marquee of 6m x 12m will only take 3 people roughly 3 – 4 hours to put up for the first time. And we assure that after setting up your marquee more than once, you will find that it goes even quicker than and that 2 people could probably manage on their own! To make things even easier for our first time buyers, we provide and step by step guide along with photographs which you can follow as you go to make sure that you are setting up the marquee correctly in the most time effective way possible. Not only that but we have posted an online video on YouTube where we show you exactly how it is done and if worst comes to worst, we are available telephonically if you find that you are struggling with any aspect of set up. But we find that generally our marquees are so easy to set up that you will not have any problems! One thing that we do definitely recommend is that the setting up of the marquee is not left until the day of the event. Not that you need the time to set the marquee up properly, but you will want to allow time for the decorating of your marquee. Sometimes there is flooring that is laid down as well. We recommend that you go ahead and lay the flooring as soon as the marquee is up so that you can move in and out of the marque with ease while you are decorating. Don’t worry about the grass not growing… its only a few days that grass will recover in no time! So what we recommend is that you contact our offices and have a talk with our knowledge staff who will put your mind at ease so that you can plan the rest of the event with piece of mind. Need help planning your marquee click here for our interactive marquee planner.